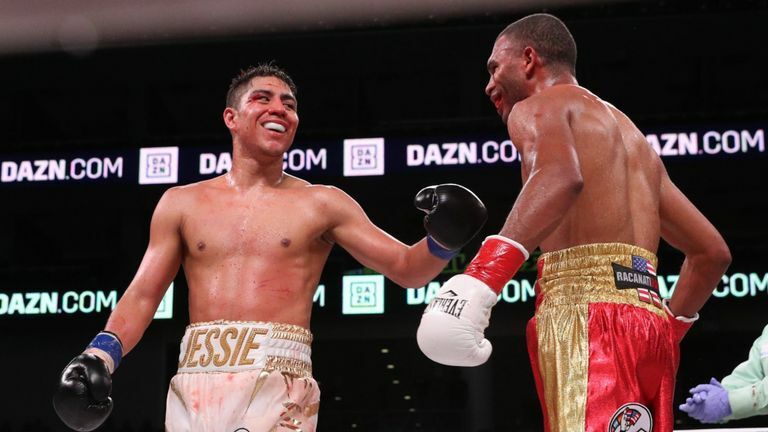 Jessie Vargas and Thomas Dulorme went to war for a majority draw on the first Matchroom Boxing show in the United States. Vargas and Dulorme gave the fans a great show, what everyone expected & traded huge punches for the vacant WBC Silver welterweight title, but the championship remained vacant, though, as Vargas and Dulorme fought to a majority draw (115-111 Vargas, 113-113, 113-113). Dulorme started the fight quickly and looked as if he wanted to finish Vargas in the first round and nearly did it when the challenger rocked Vargas with a huge right hand, but he survived without any lasting damage. In the next two rounds, Dulorme continued to throw a lot of punches and totally controlled the fight. Everyone expected a huge upset this time, but from the fourth round, Vargas started to throw combinations and took control of the fight. In the next four rounds, Vargas was the aggressor and forced Dulorme to fight backwards. In the ninth round, Dulorme came back and produced a great round with body shots which were followed by big shots to the head. In the tenth round Vargas raised the pressure on Dulorme and sent him down to the canvas with a huge straight right hand, but he was able to climb to his feet and finish the round. After the break in the eleventh round, Vargas stayed on the outside and controlled Dulorme cleverly with jabs whilst staying at a safe distance. Then in the last round, surprisingly Dulorme pulled out a big straight right-hand shot which sent Vargas to the canvas, but it wasn’t enough to win the fight and the championship remained vacant with a majority draw. Before the main event, we had some great undercard fights with a heavyweight clash and also with two world championship fights. Just before the main event, Jarrell “Big Baby” Miller knocked out Tomasz Adamek in the second round with a huge uppercut. The weight difference between the two fighters was 90 pounds, so the quick KO wasn’t a surprise. Miller now can move on to bigger things, likely a chance to fight for the WBA “regular” belt against Fres Oquendo. After he knocked out Adamek, he expressed the hope to fight unified world heavyweight champion, Anthony Joshua. Artur Beterbiev defended his IBF light heavyweight title against Callum Johnson. Both fighters were undefeated before this fight. Beterbiev started the fight stronger and he’s dropped Johnson with an uppercut in the first round but the Englishman survived and made it out of the round. The picture changed in the second round when Johnson dropped Beterbiev with a left hook, but Beterbiev also survived as Johnson failed to capitalize on the hurt Russian. In the third round, the slugfest continued as both fighters threw a lot of punches which resulted in both fighters nearly touching down on the canvas. Then in the fourth round, Beterbiev caught Johnson with a huge straight right hand to the top of the head which sent Johnson down to the canvas forcing the referee to wave off the fight. Beterbiev successfully defended his title for the first time and remains undefeated in 13 fights, all of them coming via stoppage. Johnson suffers the first loss of his career. Danny Roman defeated McDonnell by TKO at the 10th round to retain his WBA super bantamweight title. McDonnell was slow and unmotivated throughout the fight in my opinion. Roman fought a clever fight consisting of lots of body shots which left McDonnell’s head open for Roman’s left hand. In the tenth round, Roman threw a double uppercut to snap McDonnell head back before continuing the attack throwing a barrage of punches, sending the Englishman to the canvas. McDonnell got up but looked wobbly on his feet so the referee stopped the fight. Roman defended his belt for the third time. 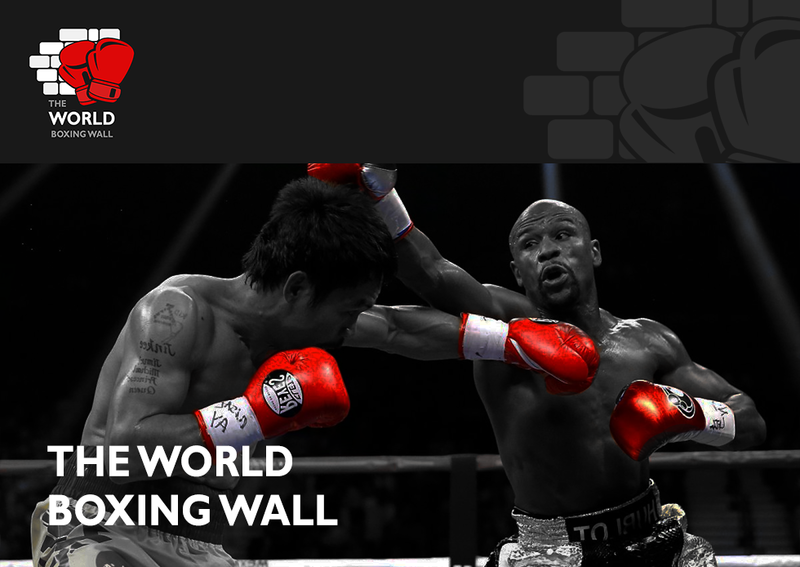 Did you enjoyed the first Matchroom show in the United States? Let me know what you think in the commets below!